There is an ever-increasing number of high school romance stories in both print and media, with fewer and fewer actually managing to bring something wholly new to this genre. 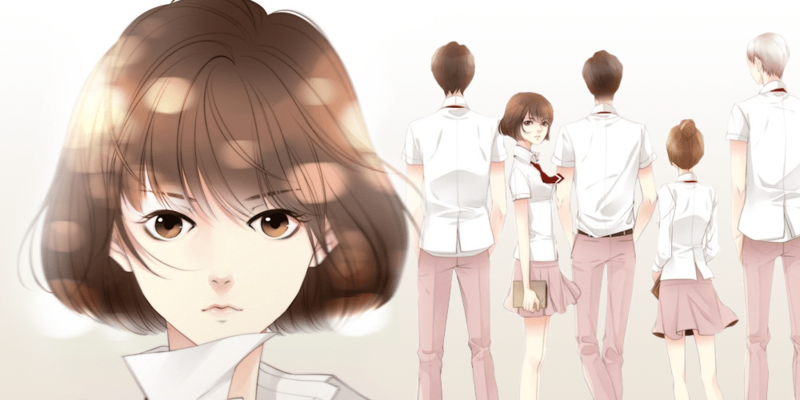 But July Found by Chance, an ongoing webcomic by South Korean artist Muryu, does exactly that by illustrating the story of a girl who realizes one day that she is only a side character in exactly this type of manhwa. Although I initially wanted to post this as a review, there are currently only 13 chapters of this webcomic translated and available to read online. That means I don’t have too much content to work with and actually critically evaluate. However, what I have read is certainly enough to gush about, as this manhwa delivers exactly what I want from a slice of life high school drama while effortlessly turning every Boys Over Flowers-esque trope on its head. Eun Danoh is the aloof, chic daughter of a wealthy family who suffers from a lifelong heart condition that inevitably means she will not live past her teenage years. However, when Danoh realizes she is experiencing long gaps in her memory as well, she comes into the unhappy inheritance of another fact in her life: she is a character in a Korean webtoon and all of her actions are predetermined by the artist who draws her. Everything, from her turbulent relationship with her fiancé Baek Kyung to her terminal illness, has already been decided by a higher power and she isn’t nearly as autonomous as she believed. To make matters worse, Danoh discovers she is only a supporting character in the cast. The story actually revolves around her classmate Yeoh Juda who is the classic bullied, poor protagonist struggling her way through life at a private school. However, Danoh isn’t one to sit quietly by and let the story play out around her. With her newfound understanding of the world she inhabits, she is determined to find true love in her own plotline and circumvent the author’s plans for her character by utilizing the flashes of storyboard she alone is able to see. If Boys Over Flowers, The Heirs, and recent K-Drama W – Two Worlds had a webcomic baby, July Found by Chance would be that child. I call it “self-aware” because it is entirely conscious of what it is – a slice of life high school drama – with the added mysticism of a main character who has the ability to push back against the tropes that define her character. In “Heads” the events occurring are ones that will ultimately be illustrated in the Secrets webcomic, which mostly revolve around Judah and the A4 (a very blatant play off of BOF’s F4). However, “Tails” is the plane of existence that ultimately has no effect on the story, giving Danoh free reign to act as she pleases because the audience ultimately will never see it illustrated. Unfortunately, this also means all other characters unaware of their status as manhwa characters will forget any interactions they have with her in “Tails,” given that these events don’t actually carry over into the main storyline. At the beginning of the story, Danoh exists as a side-character whose most significant plotline involves her relationship with the arrogant (read: insufferable) Baek Kyung. 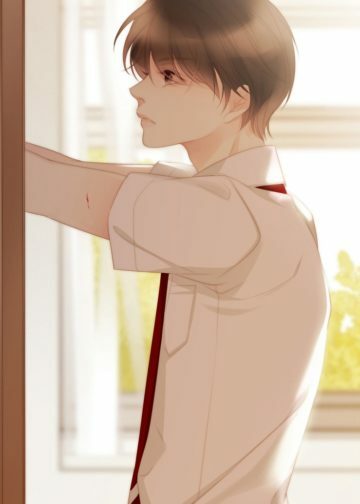 In the manhwa artist’s story, Danoh is in fact in love with him despite his indifference, and their push-and-pull relationship is a cause for most of her conflict as Baek Kyung continues to act cold towards her. In her own story, she couldn’t care less about him, and I absolutely love it. There are moments where Danoh herself becomes frustrated by her character being unreasonably disappointed over Baek Kyung’s rejections and she bewails the author “Don’t make me look so sad!” in her head. It’s so satisfying to see her come into her own and push back against this romance she is being shoehorned into, while seeking a more idyllic “first love” elsewhere. Danoh quickly turns her attention to a different side character as her main love interest. An accidental tumble down the stairs of her school leaves her hospitalized and fixated on the person whose back she collided with during the fall that sent her heart palpitating. Despite not having seen this boy’s face, she is determined to find him in the mix of her classmates. To do so, she sets about touching her back to every male student in her school to check for the familiar “heart thumping” sensation she experienced before. In a completely absurd turn of events, this actually works, and she learns that the boy she collided with is another side character that she dubs “Number 13.” He appears as a new student in her class with a notable lack of complexity and Danoh struggles to make him remember her during their interactions in the “Tails” side of the story. 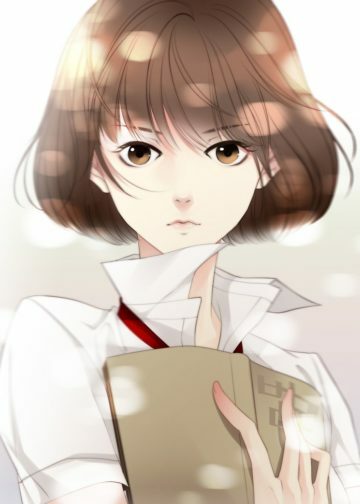 As she sets about trying to make him her primary love interest, Baek Kyung is left in the dust, despite the storyboard still indicating to Danoh that he remains her destined match in the real manhwa. Everything about Danoh’s dynamic with both of her love interests is ridiculous, and it simultaneously uses and abuses the instalove trope to the fullest extent. Now let’s look for a moment at Yeoh Judah – the main character of the Secrets webcomic who is in a sense a side character to Danoh’s plotline. Juda’s main love triangle seems to revolve around the most popular boy in school Oh Namjoo, and her kinder, softer childhood friend Lee Dohwa, both members of the A4. It’s very much a sort of Gu Joon Pyo versus Yoon Ji Hoo dynamic, and from the start it’s very clear that Namjoo is going to be the boy Judah ends up with. That leaves Dohwa in a very interesting place with his interactions with Danoh, especially as he consciously grows more aware of the artificially constructed setting of the world around him as Danoh encourages him to act as his own person. But more on that to follow. The medium in which a work presented can be equally as important as the content of the story itself, and Muryu’s art in July Found by Chance only elevates the plot. 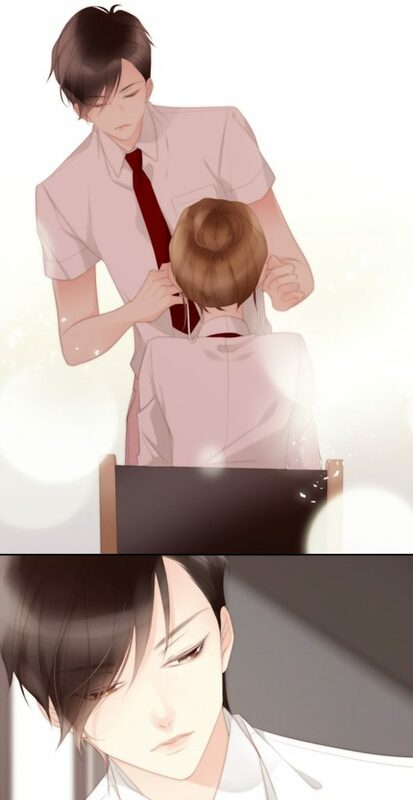 It carries the smooth lines and doe-eyed characters you would expect from a slice of life romantic manhwa, but doesn’t ever let you forget that these are still only characters within their own separate webcomic. Muryu does an excellent job of making certain scenes appear for what they are: artificial and the construct of an imagined author. From the faint rectangles that appear in Danoh’s vision when a “Heads” scene is playing out to the inverted colors during a storyboard, we as the readers get a very clear sense that the world of this manhwa is exactly as intentional as it seems. Clever use of visual effects aside, I would be impressed by July Found by Chance for its lovely art style regardless of the quality of its thematic material. Fortunately, it delivers both. It’s so wonderfully meta that Danoh exists as a supporting character to another girl’s story, and yet is actually the main character of the webcomic about this webcomic. I love it, and I love her mantra that she tries to instill in other side characters: you are always the main character in your own life. Another major part of Danoh’s character is her heart condition – a terminal illness that she must carefully keep track of with the heart rate monitor on her wrist. This is a very clear nod to the numerous times such tragic backstories are attached to manhwa and drama characters to create some level of intrigue in the story. But Danoh doesn’t let this hold her back, and actively sheds the aloof, ice princess image the author crafted for her character in an effort to pursue her romantic interest. And as shallow as a reason that may seem, I couldn’t be happier to see this archetype being played with in such a refreshing way – even if it makes her a bit silly as a result. She is learning to act autonomously, and when it comes down to it, that is all I really want from her character. Danoh repeatedly laments the fact that Number 13’s concept is “lacking,” which is hilarious to me because it means she’s conscious enough to always remember that people around her are solely characters and yet is still just as determined to make him fall for her. And Number 13 does indeed lack a lot of substance as a character (his namelessness being only part of this), but it’s conveyed more in the manner of person the author is still developing a backstory for. And I’m intrigued by what his role will be, even if I don’t fully support him being Danoh’s endgame given how unfounded her romantic connection to him really is. I want to give a special mention to Dohwa, who is the second male lead of the real Secrets webcomic but actually has a much more notable role in the “Tails” side of the story that Danoh is aware of. Dohwa seems to be one of the few other characters in this universe that experiences the memory lapses typical of someone conscious of their existence as a character in the webcomic. It’s a little heartbreaking to see him realize just what his purpose is next to Judah and Namjoo’s overarching love story. But watching Danoh encourage him to act as his own main character in spite of this makes up for any bitterness there. Despite Danoh’s fixation of Number 13, I see Dohwa being a potential candidate for her endgame romance. They certainly have shared more meaningful interactions in the story thus far, and Dohwa actually remembers Danoh outside the context of the “Heads” side of the story. Alternatively, Number 13 can only remember Danoh in the scenes where she appears with Baek Kyung, because her “romance” with him is still the driving mechanism of her subplot. 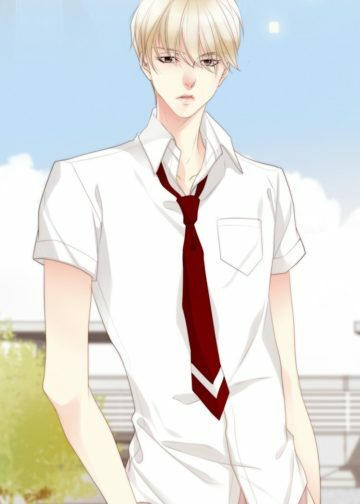 I like that Danoh encourages Dohwa to act as the main character in his story, even if he is destined to be the forgotten vertex of a love triangle. I have to say, I’m rooting for him and Danoh, and hope their chemistry is leading somewhere that doesn’t result in Danoh’s endgame being one of either instalove or Baek Kyung. If there’s one thing I can say after devouring the first 13 chapters of July Found by Chance, it is: read it. It’s a beautifully illustrated webcomic that doesn’t take itself too seriously, yet is still serious enough to actually deliver an emotional impact as the characters find their way out of a predetermined plotline. The idea of being a main character in your own story, but a supporting one in everyone else’s, is something I think carries into the real world with a surprising amount of poignancy. Ultimately, I want to give just a little more exposure to this gem of a Korean webcomic, and hope my thoughts convinced at least one more person to see it too.